A Quilting Jewel: My Winning Quilt! Congratulations! 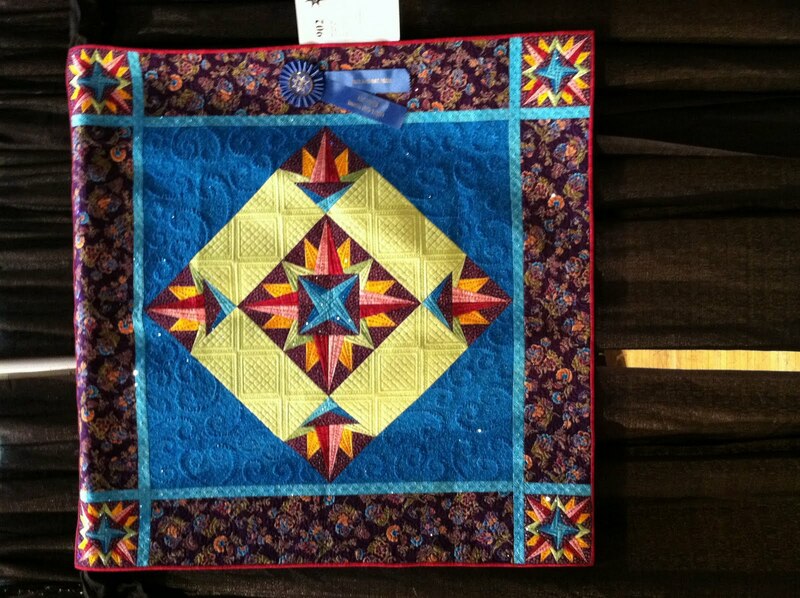 I knew you would get a ribbon the moment you posted a picture of the quilt, and a first place is wonderful. Your quilt is amazing. Hope you are back with power and such very soon. The first of many blue ribbons in your future!!! Congrats! I saw the quilt and all of it's sparkly bling at the show. I knew instantly when I saw it that Judi had to be the quilter; she's so recognizable. BTW, love your tile blocks too.